Izzy, thank you so much for this post. It is possible to accept reality, the fact that we are not perfect, the fact that our bodies weren't meant to follow our standards and stereotypes. Our bodies were meant to be beautiful as they are. This week, I struggled a little with weight gain, obsessive thoughts over food, a few bad days. But I win again, I taught my mind to slow down, to take a deep breath and start again. I learned that bad days were only signs to make me kinder and warm hearted, accepting the worst events and smiling as a result, coping in the most beautiful way. Thank you for your blog. You are helping is the creation of amazing lives, and more aware hearts. Thank you for these, they are so good and very very apt. 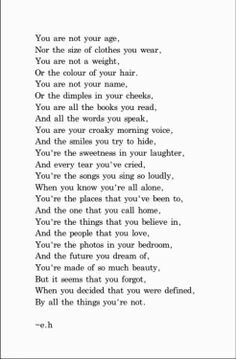 Makes me realise that I`m not in such a bad place after all - that its ok to struggle with out me thinking I am in fact failing and all is lost. They give me such hope that I can do this! Echoing everyone else, thank you for this post. 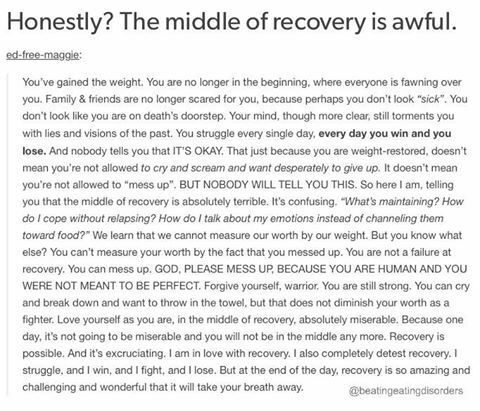 Especially the first one about the middle of recovery, it is SO hard, and most every day, sometimes multiple times a day, I want to give up. And I wonder if it will always be this hard. But I keep moving foward. 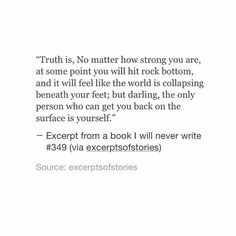 It is encouragjng to hear that others struggle with this stage of recovery, but that they made it through and that it does get easier. 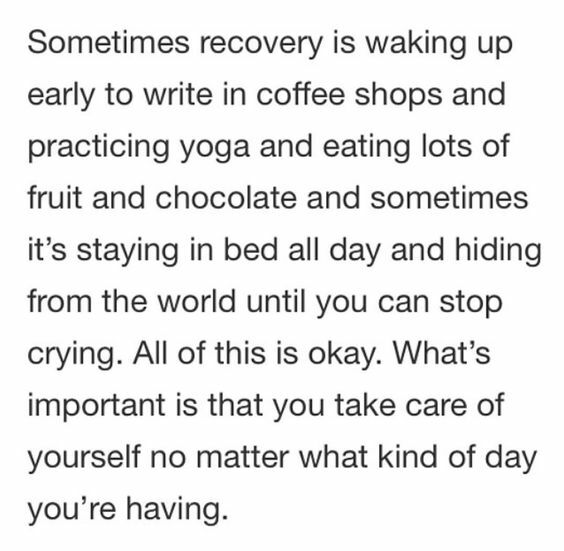 If you have the time, could you do a post on dealing with emotions in healthy ways during this stage of recovery? 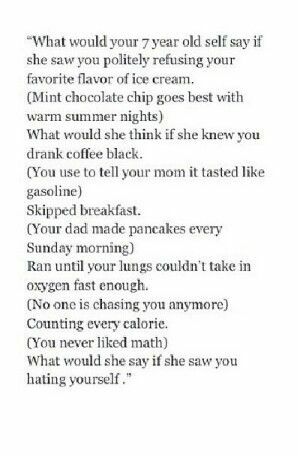 Right now I'm almost weight restored and much more emotionally aware, and finding it hard to process the emotions that I used to numb with my ED. I find this especially tough when it comes to the emotions surrounding what caused my ED to begin with. Any advice would be appreciated! Thank you, this is very helpful advice! I don't think I realized how much recovery work there was to do that has nothing to do with weight gain. It is nice to hear that the thoughts do pass if you work on it, even if it takes some time. Thanks again!! No, I never realised either that recovery entailed so much more than weight gain. I naively thought that once I was weight restored that would be it - hence my subsequent relapse. This time round though I am, thanks to this blog and Izzy`s excellent quotes, far more ware of what I need to do to make my mind healthy as well as my body. And you are right, its a daily struggle and sometimes it seems so relentless. I just want it to get easier - I know it will in time but not knowing just when makes it so hard.